Ninja Tune signee Ash Koosha has issued a statement about the ban on travel for citizens of seven predominantly Muslim countries to the US, which currently means he cannot visit the country. "I grew up in post-revolution Iran, an environment full of conflict between revolutionary values, global progress and social freedom" he says. "This conflict was reflected daily in my own life. I was discouraged from learning music and practicing any creative expression that was at odds with 1979 revolutionary values." Speaking of his experience of being jailed in his native of Iran for organising and performing a concert, he speaks extensively about the country's censorship of a number of forms of contemporary arts. He further adds that: "Consequently, I found myself, my family and friends in exile, both in Europe and the USA. This was a sad drain of creative minds, and youthful energy from a country that desperately needed its younger generation. "We suffered through anxiety, distress and a crisis of identity while in exile. We even lost friends to death in the aftermath of this transition. We became refugees; not celebrated artists. 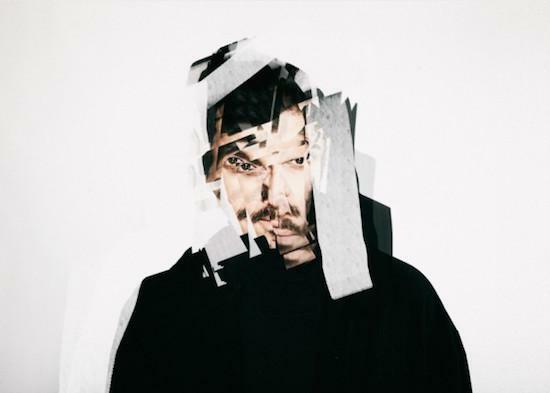 Having found exile in the UK and released his debut album via Ninja Tune in recent years, Koosha was due to tour the US for the first time last summer. "It was time for me to see a great country that contributed to art and technology for generations and stood for progress, peace and freedom," he says. "Even though I spent a lot of money to start a petition in order gain entry (which was accepted) I still didn’t receive my visa on time. So my first tour in the US was canceled due to ‘Administrative Processing’. All of my ambitions, contributions and efforts were reduced to bureaucratic paperwork that left me feeling betrayed and burdened because of my ‘place of birth’. "No one chooses to be exiled and no one chooses to be born in one place or another and it is in no one’s interest to ban global progress, something that many people from different nationalities are contributing to daily and they are doing it all for the future of humanity. The global progress, unfortunately is being threatened by executive orders of Donald Trump in an unjust entry ban on refugees. A ban that also affects scholars, students, family members, artists and the mere tourists with no intention of settling in the USA. "This executive order will prove ineffective in its supposed goal of defying terrorism. It is the outcome of petty political pandering to the detriment of thousands. Personally, I wont be able to go on my USA tours, share my discoveries in sound and music or promote the first VR album experience in the biggest market in the world. More importantly, refugees won’t find safety, families wont be reunited, academics wont be able to continue their research and people are stranded in a limbo of unknown future. "Donald Trump came to power claiming that he’ll make America great again. But this seems impossible without the contribution from many many people of whom I am only one."